Yesterday was a gray day. dark clouds covered the sky, as far as the eye could see. Needless to say, I didn’t get a lot of photography done, but it gave me an excuse to kick back, relax and enjoy a little quiet time. Being the food obsessed girl that I am, I got to thinking about season ingredients and how they shape they way we cook. Bright, fresh veggies and fruits in the spring and summer. Warm, hearty squash, soups and roasts in the fall and winter. Nature just knows what we need and crave and gives it to us. So, perhaps I’m getting a bit sappy. I just love the changes of seasons (even to the dreaded hot summer months) because it shakes up my cooking and puts a fire under me to try new things. One ingredient that I simply adore this time of year is maple syrup. 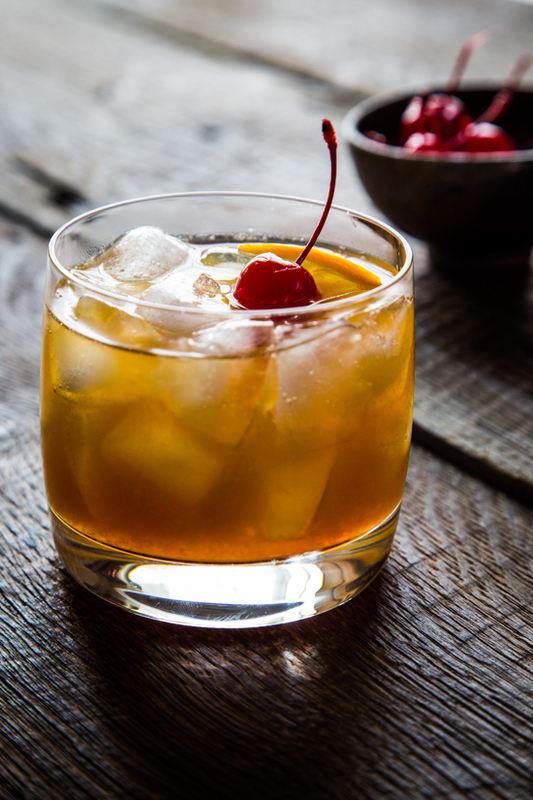 and now this maple bourbon cocktail. I was in for a treat and more inspiration than I can even begin to note. 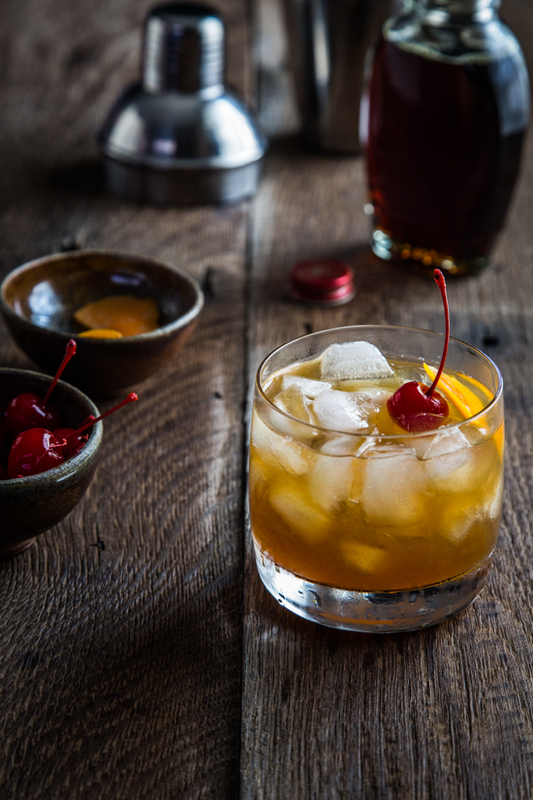 Bourbon sounded fabulous and I took some inspiration from this maple leaf cocktail from The Kitchn. I decided to use orange juice instead of lemon juice and also added a small amount of bitters to add some depth of flavor to the drink. The results were deep and slightly sweet with a lasting warmth from the bourbon and maple. In other words, just what you need to warm your belly on a cold night. Especially on a Friday night! Add ingredients to an ice filled cocktail shaker and shake until chilled. Strain into ice filled glass. Garnish with orange peel and cherry. Serve and enjoy! We love the seasons too- gives us a reason to make new food and drinks! 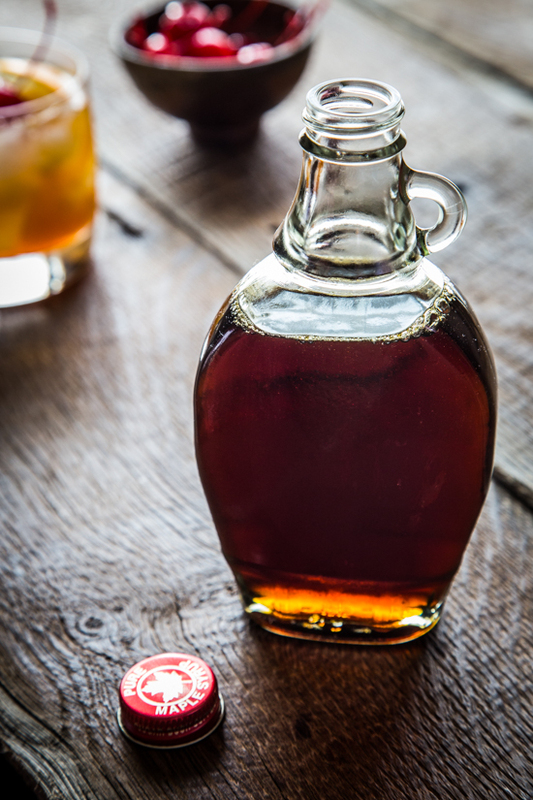 I Love using real maple syrup in drinks too, I’ll be making this one for sure! This sounds like a warming treat for cool nights!! I totally need to make this! 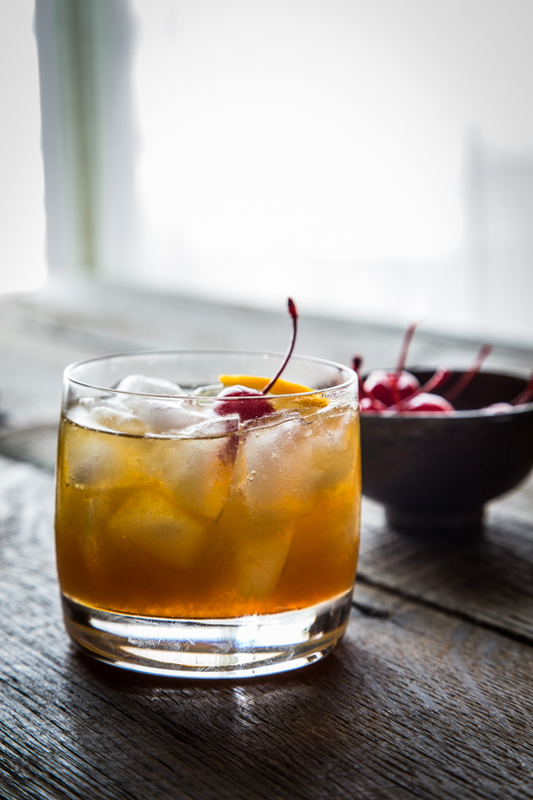 I love the idea of using maple syrup to sweeten a bourbon cocktail, especially with a few dashes of bitters. I have these Cherry Bark Vanilla Bitters that I’ve had no idea what to do with but I bet they would be great in this too! I featured you in a recent blog post: http://life8oh2.com/autumn-inspired-cocktails/ ! This looks so yummy, I need to try it ASAP! What is the purpose of straining this drink into an ice filled glass as opposed to just mixing it in an ice filled glass ???? You could mix it in an ice filled glass if you prefer. I would recommend using a large ice cube if going that route. Thanks for stopping by! Love a quick and delicious cocktail! Perfect for Thanksgiving!! This looks fantastic! Going to try asap. Your pictures are wonderful as well. Can you tell me where you purchased your old fashioned glasses? Love them! Great job…going to follow!